Realtor.com is launching a humorous campaign that features actress Elizabeth Banks, who returns for the third year as the brand’s spokesperson. Themed “Own Home,” it includes TV ads, interactive digital video experiences and social integrations. 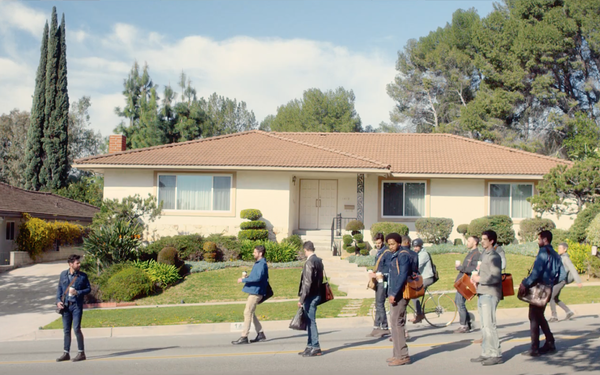 Creative humorously demonstrates the struggle of searching for a home without realtor.com and missing out on the home of your dreams by featuring “not-yous.” A “not-you” is a person who likes what you like and wants what you want, and in the case of home buying, want the same house as you. The spots feature Banks celebrating with users who recently moved into their perfect home, while similarly attired “not-yous” appear through the stories, frustrated by what could have been. Banks resonates with audiences because she has great creative to support her and, more importantly, she’s incredibly relatable — both to Gen X and Boomers who’ve embraced her throughout her career, but also to Millennials who know her from the “Pitch Perfect” and “Hunger Games: franchises, Strickman says. Created by Pereira & O'Dell New York, the campaign features six TV spots. The brand also will debut an interactive digital video series offering a cathartic release for “not-yous” feeling frustrated, depressed, mad or annoyed for having lost their dream home. Banks will scream into a pillow, seek solace in cute animals, sing a sad song poorly and more to help people move on after missing out on the home of their dreams. In addition, the campaign will expand to Facebook and Instagram, with a twist on the traditional housewarming gift. Users can congratulate new homeowners with humorous “welcome to the neighborhood” gifs of Banks. The TV campaign debuts this week with a 60-second launch spot on CBS and HGTV. It will run across major broadcast networks and cable channels, including Bravo, DIY, TBS, TNT, USA and others. The social executions will begin to rollout in May with the digital video series featuring Banks going live in July. The profile of homebuyers in this country has changed rather dramatically over the last few years, with Millennials making up more than 35%, which is the largest segment, of buyers in 2016, he says. “We built this campaign not only with that group, who tend to be first-time homebuyers in mind, but also the wider range of buyers who stretch up to retirement,” Strickman says.